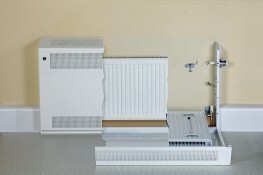 Contour Heating Products Ltd > News > How Much Do LST Radiators For Schools Cost? 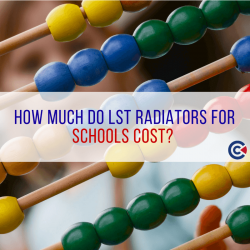 How Much Do LST Radiators For Schools Cost? Safety is a top priority in schools. Injury through falls and burns is one of many ongoing concerns that education providers must overcome as part of ensuring that pupils and teachers are safe at all times. Contour Heating offer a range of LST Radiators specially designed with the education sector in mind. Let’s look into the importance of LST radiators and the cost of installing them into schools. What Is An LST Radiator? LST stands for Low Surface Temperature. LST radiators are designed to placed into settings intended for vulnerable service users, with a focus on ensuring that safe heating solutions are provided to reduce the risk of injury through burning. Contour LST radiators for schools are designed to maintain a safe, low surface temperature to provide safe heating solutions for all. By keeping surface temperatures low, the risk of burns to small children and to teachers and others in school is reduced; creating a safer working environment for everybody. How Much Does An LST Radiator Cost? When fitting an LST Radiator for school there are several factors that need to be considered, so instead of issuing a standard set of pricing; we tailor our quotes to suit the exact needs of our customers on a unique, case by case basis, guaranteeing the best value for you every time. The environment your LST Radiators are going to be fitted into. The required heat output for each radiator (it will vary depending on the location). The size of the available space- is it going under a windowsill or in an alcove? Contour can work around this! Pipe Systems- Depending on whether you choose one pipe or two pipe systems, the value setup will vary. With these factors in mind, Contour will create your unique quote to ensure that the quote we provide for your school’s LST radiators is built to meet your needs exactly.